Hey everyone, I have a quick one for you today. While I have been working on several commissions as well as my own stuff for Golden Demon and Armies on Parade I snuck this one in. 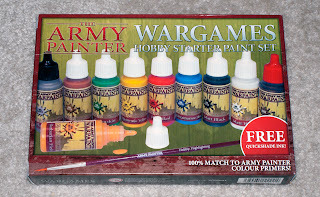 At my painting class at Dragon's Lair last night I was given a box of The Army Painter's new line of paints to test out and see how I liked them. I had a fairly small class last night and was able to work on a model with these new paints. After rummaging through the boxes of models supplied for the class I settled on a Bretonian Men at Arms, mostly due to the fact that besides some Necrons they were the only ones already primed and the weather didn't really agree with priming. 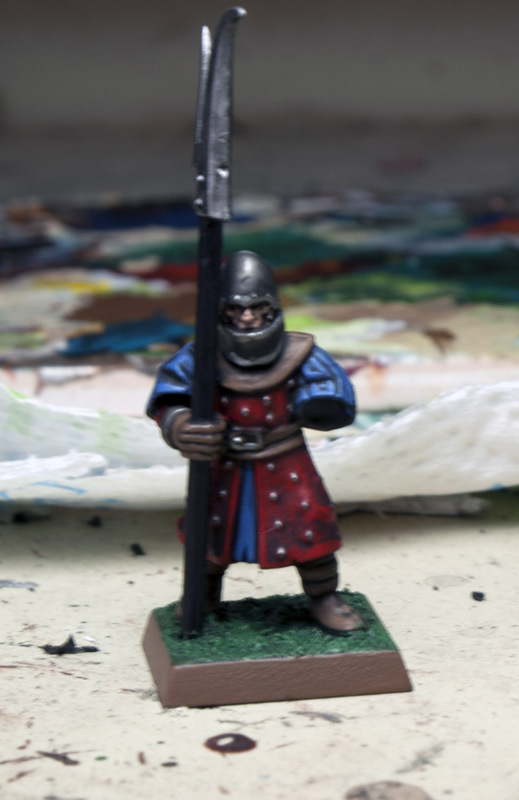 I knew the Army Painter way of painting is meant for quick effective tabletop quality armies that look good from a distance so I decided I would try and emulate this. The one thing that really caught my interest was the bottle of Quickshade that was included. I have always been intrigued by this and have wanted to try it out. Personally I am not a fan of the "dipping" method since I figured you just spent all this money on these little plastic soldiers, you might as well put the time in, but I can see the appeal. The way that Army Painter advertises their painting method is to paint on flat colors with no shading, then use one of their Quickshades on the whole model and apply a few highlights afterward if you want. I ended up using the red, blue, brown, metal, green, flesh tone, and black. Most of the colors seemed pretty good. The consistency was average and they covered decently. They did seem to dry up a little faster then other paints I am use to, but this could have been due to any number of environmental factors. The one color that really disappointed me was the red. It was extremely thing with almost zero coverage. I had to do several coats to get anything even close to decent coverage and it left the model slightly streaky. I didn't have this problem with any of the other paints I tried but if their red is this bad I would have to assume their yellow and white most likely have similar problems. These colors are traditionally the thinnest but with the advances made by Citidal and other paint suppliers this came as a bit of a disappointment and can't really compete with other reds, yellow and whites on the market. After I had all the base colors applied I hit the whole thing with the Dark Tone Quickshade and left it to dry. I then went back with each of the base colors and applied limited highlights. The base was painted with some Citidal Textured Paint as I didn't have the time to use sand. 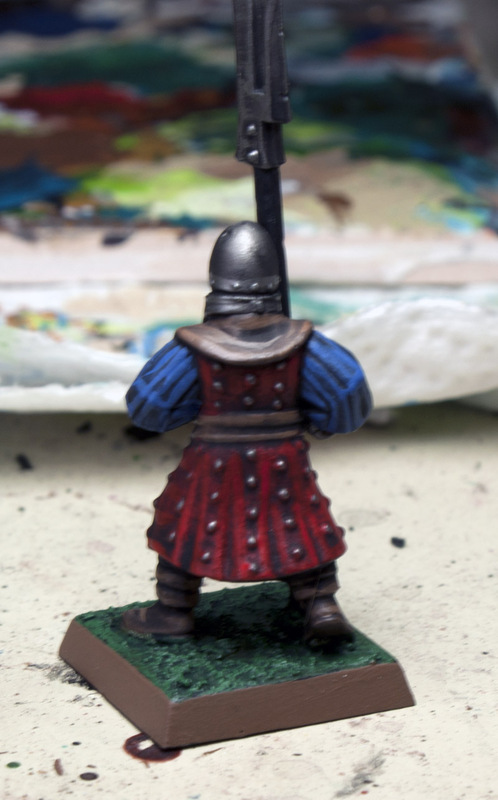 This model took me about 20 minutes not including drying time and I think looks decent if all you want is a playable army with some depth to the painting. I imagine this would work really well with batch painting as it would cut out all of the drying time as you work on the other models. These paints and painting methods are geared more towards the wargamer then the hobbyist, and what I mean by that is people who care more about the game then the painting but still want a good looking army. For that purpose these work great! Although I would still recommend using some Citidal Base paints for the more transparent colors. Add in the Textured paints and you can really cranks these guys out fast. They are priced 70 cents cheaper then Citidal paints and the paint brushes are also very cheaply priced (although they may fall apart a bit quicker on you). 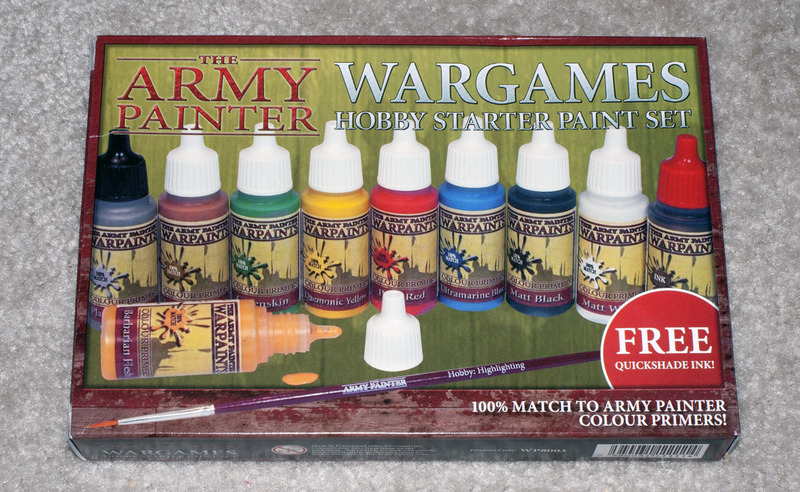 If you are looking for a slightly cheaper way to paint your newest army the Army Painter paints are not a bad choice. Their strongest products are still the colored primers (I use the bone one on my Tomb Kings) and Quickshade but these paints make a nice addition, they are even color matched to the primers. Personally I will be sticking to my Citidal, P3 and Vallejo paints but if I ever want to crank out an army I may pick up some of that Quickshade.